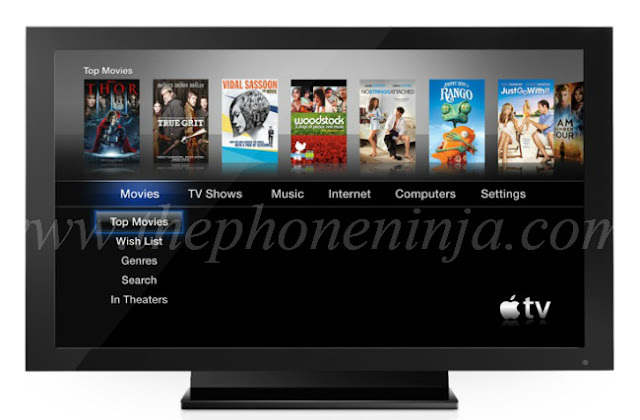 Rumors surrounding the imminent launch of an Apple-branded HDTV have been swirling for the better part of a year, and while some industry watchers expect the “iTV” to launch as early as this summer, one analyst suggests that we’re still more than a year away from seeing Apple launch an iOS-powered television. JP Morgan analyst Mark Moskowitz said on Thursday that his firm does not believe Apple will release an HDTV in the near future. “We are not sure that the Apple premium could prevail in the TV market, unless there is a radical change of the user interface, integration of the TV programming and data content, and use of gesture or voice control,” the analyst wrote in a note to investors. Instead, Apple is likely to introduce a more feature-rich version of the Apple TV, the company’s set top box that streams iTunes content and partner content to connected televisions. ”We believe Apple can design a smarter set top box to manage all components behind the end user’s TV experience, as well as eliminate the oft-cumbersome user interface provided by the cable and satellite operators,” Moskowitz wrote. The analyst then sees a possible HDTV launch some time in 2014, though he notes that Apple’s desire to maintain high margins on its products could potentially pose a barrier. Earlier reports suggested that Apple’s Siri-enabled television is already being tested by partners ahead of a fourth-quarter launch this year. The company’s competition is said to be in “crisis mode” as Apple prepares to dominate the high end of the TV market with a product that features voice and gesture controls along with a unique content model that offers channels in a format similar to apps.